This Rondo cushion is available with gold or white embroidery. Round shaped with a removable cushion cover. No pleats. The inner casing is filled with first quality cotton. 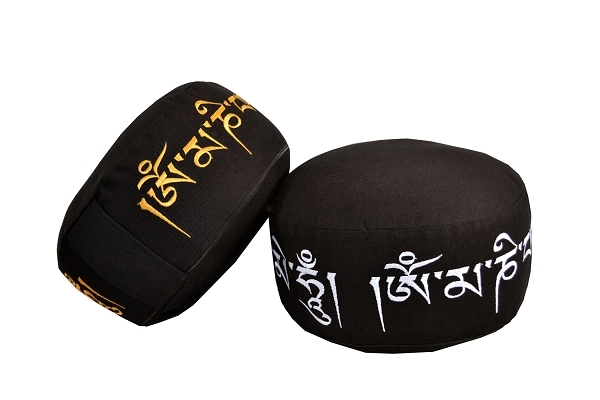 Rondo cushions provide comfort and support during meditation and Yoga practice. Very comfortable and appropriate cushion for meditation. Love this cushion, so comfortable and doesn't take up too much space. Very firm and feels substantial without being too firm.